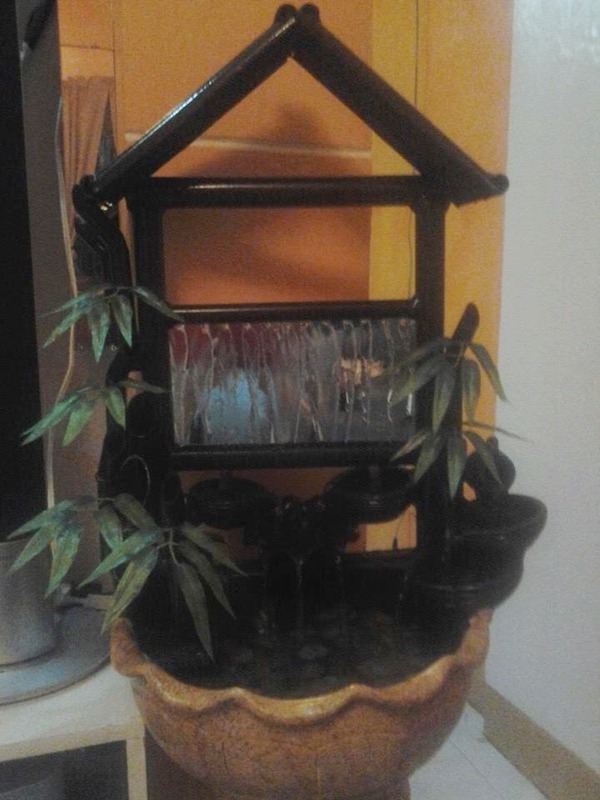 My son gifted me with an indoor water fountain during my birthday last month and I really didn't expect to receive such from him. Admittedly, I was ecstatic when I saw it. The day he brought it home, he and his sister arranged the fountain on our porch and filled it with stones and water. After, they're done, that's the time they asked me to come out to see what they have for me. 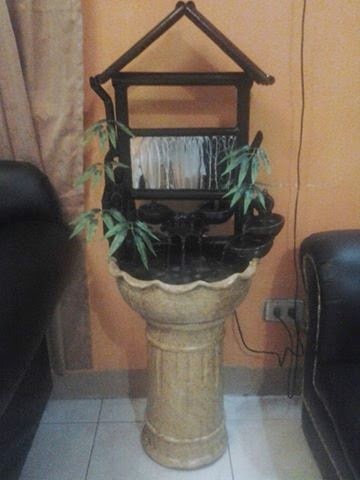 When I went out to the porch, I saw this beautiful water fountain. 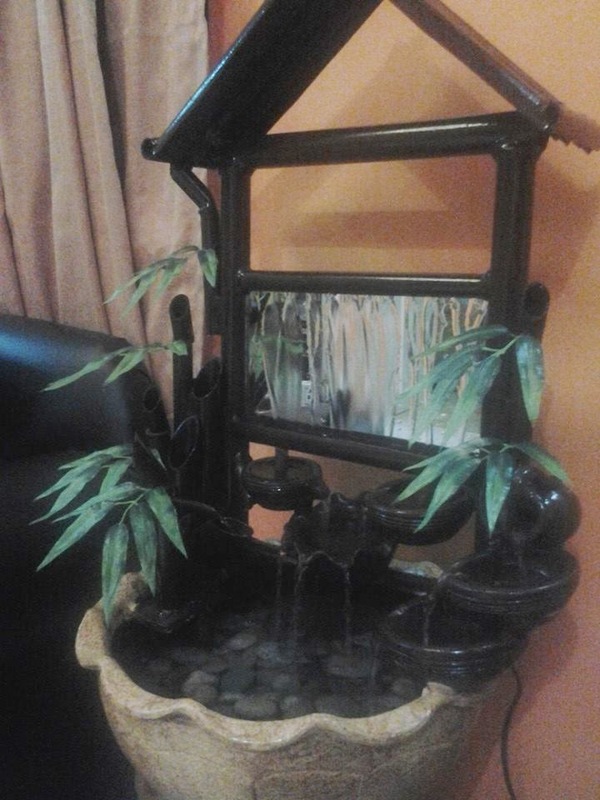 Admittedly, I long wanted to have a water fountain inside the house but for some reasons, I always procrastinate getting one. Now that my son gave one to me as a gift, I am just so happy and excited! First and I think no one will dispute the fact that it beautifies our homes. It adds substance to any part of the house. It creates a visual appeal that will surely delight anyone who stays in and visits the house. Second, it helps us to relax. I've experienced it myself. I had my coffee one morning while seated next to the water fountain and the soothing sound coming from it proves to be therapeutic. We all experienced being stressed at some point during the day and this could really help us feel relaxed after a long day at work. Third, it cleans the air and helps to humidify the house. I guess, this is also true and happens when we place a lot of plants inside our house. Plants attract dusts, release oxygen and purifies the air and so does water fountain. Having these together inside our homes is perfect.